Did you ever want to learn about a domain registration but were put off by the hard sell tactics that basically all web-based whois searches subject you to? Me, too. Here’s what you can do. So now we’re getting somewhere. So GoDaddy tries to force you to their web page an sell you stuff in any case. Not at all surprising for anyone who’s ever been a GoDaddy customer (includes yours truly). Because that’s what they do. But not all registrars do that. This domain is managed under ICANN's registrar system. You may register domains in .JOBS through an ICANN accredited registrar. The official list of ICANN accredited registrars is available on ICANN's website. Bingo! We have hit pay dirt. We have meaningful information about the registrant – an address, phone number and email address – and received no obnoxious ads in return. For me it’s worth the extra steps. ICANN, for the record, it the body that decides what goes on in DNS namespace, for instance, what new gTLDS should be added. You can use its whois tool for all gTLDs, but not in general for ccTLDs. whois is undergoing changes due to GDPR. 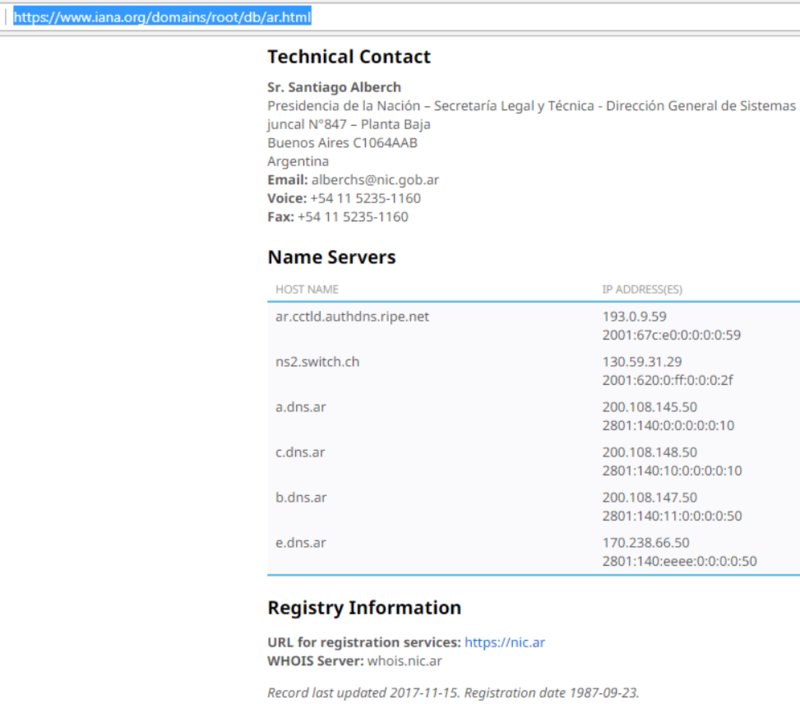 Especially the “social” information of the contacts: registrant, admin and technical contacts will be masked, except for perhaps state and country, in the future. But whois is slowly dying and a new standard called RDAP will take its place. This entry was posted in DNS, Linux, Network Technologies, Raspberry Pi, Security and tagged GDPR, ICANN, RDAP, whois. Bookmark the permalink.